Congrats to all who Made the Cut for The Stairwell Carollers 2018 Christmas Season! So many new Stairwellers in the Stairwell! Farewell to Stairwell Alumni going on to new adventures -- we will miss you. Thanks to Pierre and all the Stairwellers who worked to get the word out for this most recent audition blitz. 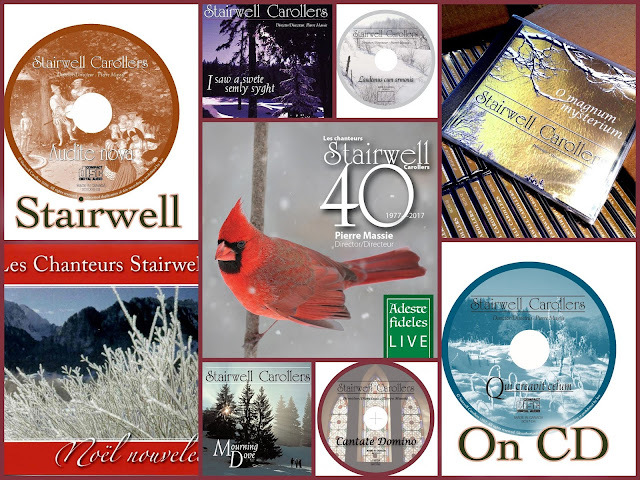 Being chosen for the Stairwell Carollers has less to do with musical knowledge and more to do with what kind of voice you have. Pierre has worked through the years to maintain the group sound that ensures no matter who is singing with us, we still have the trademark Stairwell Carollers sound. If you tried out and didn't make it, it wasn't because you don't have a great voice or even masses of potential. We are just one of many great Ottawa area choirs and there is one out there that wants your own trademark sound!